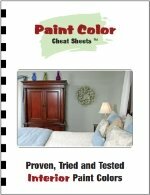 Paint color software gives a realisit preview of a painting job - great for home owners, painting contractors and interior designers. It enables you to create color schemes, and see (or, show) how they will look, before you even started priming. Painting software empowers your designing skills. You can create dozens of color schemes fast, and doing so you learn. After having worked over a few pics, you also learn about the way colors 'behave' in different designing styles. Color style studio has two sections: color style studio itself, and a model editor. In the model editor, you can turn a regular picture into a model, by creating "fields" that can be filled with paint colors. Here you prepare the picture for color style studio. In color style studio, you create the color schemes. Pics shouldn't be too large: around 800x500 pixels is an ideal size (use either a small 2megapixel camera, or graphic software to diminish the size of the pics.). Go there by 'utilities' - 'photo uploader' or by 'files'- 'upload my own photo'. No resizing software available? Try 'Love2Photo (click here for a free trial version). Another option: use a very cheap 2 or 3 megapixel camera to take your pictures. Here you can order the photo resizer. 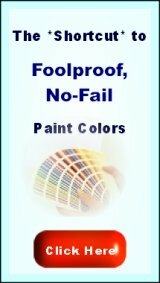 The paint color software already has a number of models in it, that you can use for making color schemes. Of course, a picture of you own room (or that specific room of your client) gives the best preview on the job. 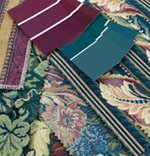 Not only the colors matter, but also the visual amounts of different colors, the way they're put together, and their place in the room. Here you'll find more info on creating a model. Want to see some color schemes? All of these color schemes were made in Color Style Studio paint color software. Creating a model in this paint color software takes some time, but once it's done you can use it for other jobs (in similarly styled houses) as well. If you like the models used on this website: contact me, they're available for a small price. For using the tips for making and setting the fields, it's best you download the trial version first, and try it out. Further down I wrote up everything that wasn't clear at once when I first used it. Make fields and name them. Choose a color that contrast strongly to the background color, for easy working. Define lines with the line tool, fill surfaces with the filler, and take out stuff on the foreground. Eventually you can use the pumpkin masks, for a different look. After making each field (each in a different color), it's time to set the light and darkness - scroll down to 'setting the fields' for more on that. After that, the painting software will give you a realistic preview of the model in any paint color. Save the model in the place where you need it (color style studio - data - image models). After saving the model, you can only upload the model from the exact location where you saved it first. That means: adjusting light and darkness. After automatically setting the fields, sometimes a little extra adjusting is needed to create a neutral background for the new paint colors. and last, if needed, some manual adjusting of seperate field settings. Walls with a window in it are generally darker, because the light isn't shining on them. Things like this often need a little extra adjusting. Also look at eventual lightspots and shadows on walls and floors: if they don't come out enough, reduce the 'solidity of layer'. Here you can download a trial version of Color Style Studio. Just try it out and see if it works for you - you need it anyway when you want to install the real version on your computer. Ordering is done via a download service that automatically installs over the trial version on your computer. Further down this page, you can order color style studio. It costs about 76 dollars, a backup CD included. It's a download service, so you can start working immediately if you want to. The backup CD (in case you need to reinstall) will be sent to you by regular mail. But first, let me tell you some more about it. There's also a service for having a pro prepare your pictures into a model (go to a trial version). For one picture, you pay 29,90 dollars. If you order 4 pictures, you get the painting software for free. Click here for ordering Photo Uploader. If you enlarge the picture, the right side may drop out of sight. Use the magnifiying glass with the round arrows: the point you click on will be the upper left corner. Going back to the original size is done by clicking on the (very small) sidebars of your window. When you work over pictures smaller than 500x300 pixels, you will see square pixels. Zooming in means: A diagonal line looking like a staircase. Here the trick is, to divide the pixels in a way that they stil give a realistic impression when you see the picture in it's natural size. If you zoom in, you can make a diagonal line straight, by making sure that every 'step' of the staircase is equally long. Before you order your paint color software, download this trial version of Color Style Studio. Try if it's good for you, and you need it anyway when you want to install the real version (it will be automatically installed over the trial version). 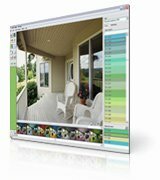 Click here to order Color Style Studio paint color software. The costs are 76,60 dollars (when you include a backup cd to your order). The ordering process is a download service, so you can start using it immediately. The backup cd is for those cases where you need to reinstall the program. The CD is sent to you by mail. Mine arrived after two weeks, which is good considering it had to be sent to Europe. If you have other questions on it: contact me, and I'll try to reply it.